It all started with the rumors that Apple would be buying Beats Music over a year ago. After those reports came to fruition, it was only a matter of time until Apple unveiled a new streaming music service to take on Spotify and Google Play Music. Heck, Sony Music’s CEO even basically confirmed it yesterday. Now it’s official: the company announced its new streaming platform, simply named Apple Music, at its WWDC event in San Francisco today. It drops on June 30 on iOS, OS X, and Windows for $9.99 after a 3-month trial. Families of up to 6 can share an account for $14.99, and Android support will arrive in the fall. The service provides recommendations on your homepage from music experts. All playlists are partially human curated and categorized by genre or type of activity. The app will ask you about your preferences upon signing up, and it’s also able to tap into your iTunes purchases to provide better playlist suggestions. Apple’s also launching a 24/7 live global radio station called Beats 1, broadcast from New York, California and London. The station showcases interviews, news, guest hosts and – of course – music. A feature called Connect allows artists to directly interact with fans. Artists can use Connect to post directly to Facebook or Twitter, for instance, aggregating their social media content onto one page. It’s where musicians can keep their fans up to date with their newest work and updates, such as lyrics or backstage photos, or even new songs. Apple is one of the biggest players in tech, but it’s hard to say how much marketshare it’ll be able to steal away from Spotify and others. 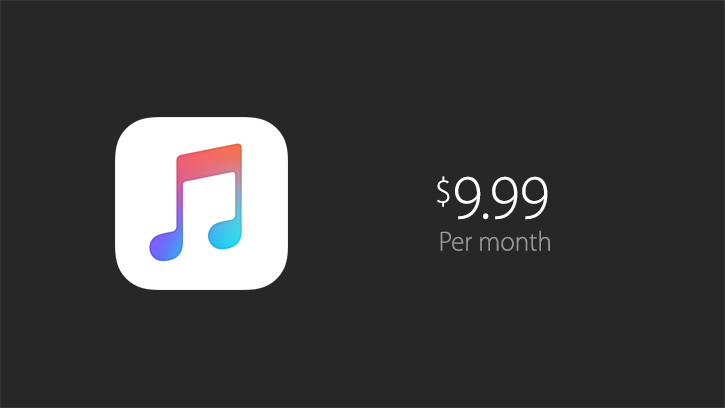 At $9.99 per month the service isn’t really any more affordable than most other premium music subscriptions, and while Connect and Beats 1 could be neat, Spotify and Google’s offerings have unique features of their own. The lack of Android support from the get-go is a bummer too. Still, Apple has major marketing power, as well as a history of securing exclusives through iTunes. The music space is heating up – we’ll just have to wait and see if Taylor Swift stays onboard.